A big thanks to the following people for allowing this conversion to take place. -Andre Streu - The original creator of the GPL Track. Without their approval, this conversion would not have been possible. Thanks to Pain-less for the awesome loading screens and texture tweaks. GPL, GTR2, and GTL readme files included out of respect for the authors. 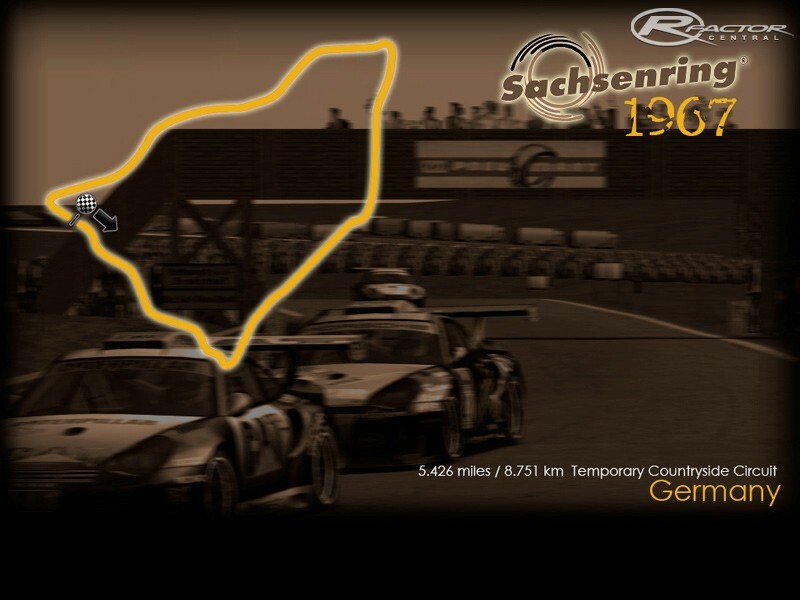 There are currently no setups for Sachsenring 1967. Add a Setup. Deserves Hall of Fame status. AMAZING! Thank You so much for this track. Does anyone else get night skies showing for part of the track? I love this track but would like to have consistent skies throughout the course of the circuit. I've d/l'ed from several different sites and reinstalled. Always the same problem. We too have been using this track with the Historx mod. What a track, now one of my fav tracks. Thank you very much for your time on this track. Its been on my hard drive for awhile, but Ive just started using this track since someone had it up on a server. After running it a few times with Historx, I just wanted to let you guys know your work is appreciated. Running from day into night here is just plain fun. Of all the tracks I've got, this one will be in the top handful that I run on a regular basis.